Fluid processing applications, from sewage treatment and oil refining to pharmaceutical, food and beverage manufacturing, and everything in between, require chemical process pump equipment that is specifically designed to handle the harsh chemicals often contained in the processed fluids. DPUMP brand chemical pumps from Phantom Pumps are the self-priming, centrifugal pumps that meet or exceed ANSI standards, are easy to install, and require little maintenance. Chemical process pumps in our DPUMP line are always inspected, tested and packaged in the US for quality assurance. We offer a variety of options on DPUMP models such as open impeller or reverse vane impeller designs, materials of construction choices, and more. 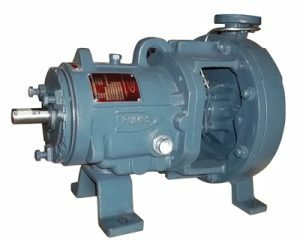 Pumps and replacement parts manufactured by Phantom Pumps are compatible and interchangeable with LP and HP Series ESCO Pumps, S and I Series All Prime pumps, T and U Series Gorman-Rupp pumps, Durco ANSI chemical processing pumps, and other models from leading manufacturers in the industry. Phantom Pumps provides processors in Florida, Michigan, North Carolina, Ohio, West Virginia and throughout the rest of the US with unrivaled customer service and technical support. We have application engineers on staff to determine the chemical process pump in our line that is best suited for specific processing applications. Our pump specialists are the go-to-source that processing professionals can rely on for technical data, cross-reference assistance, pump manuals and more, and we have a global network of distributors who are the local experts, stocking pumps and parts and offering 24/7 critical process support. Contact us today for more information on our chemical pumps and/or to request quotes.